Thomas Cook has launched a new service that will enable holidaymakers to select which hotel room they want, before even boarding a flight. The tour operator's new Choose Your Room option is similar to that offered on flights that allow you to pre-book your seat online to secure a window seat or extra leg room. The firm says adding personalisation features will improve customer experience and says it's the first to launch the innovative new product. 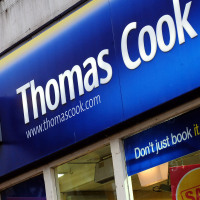 Chris Mottershead, Thomas Cook's UK managing director, said: "We know our customers don't stand still and have higher expectations of their holidays than ever before. "This great new service allows us to raise the bar in terms of the quality, value and service we can offer customers staying in our hotels." Some 50 hotels will launch the service, with plans to expand to around 300 accommodation venues by summer 2018. After booking a trip, customers can view floor plans of their hotel online and choose which specific room they would like to stay in. Families can pick one closer to the kids' pool or close to family members, while travellers obsessed with uploading their snaps to social media can pick the rooms with the best views. The option is available six days before the trip and will cost £26 (30 euro) per holiday booking. "We have always prided ourselves as a pioneer in the travel industry and this innovation is receiving overwhelmingly positive feedback from the customers who've taken advantage of it," added Mr Mottershead. Planning a family holiday? Make sure everyone's covered with our family travel insurance.